As a nursing mom, I swore by my nursing pillow from the time my babies were born until they were about a year old, or big enough to sit in my lap while nursing without any extra support. 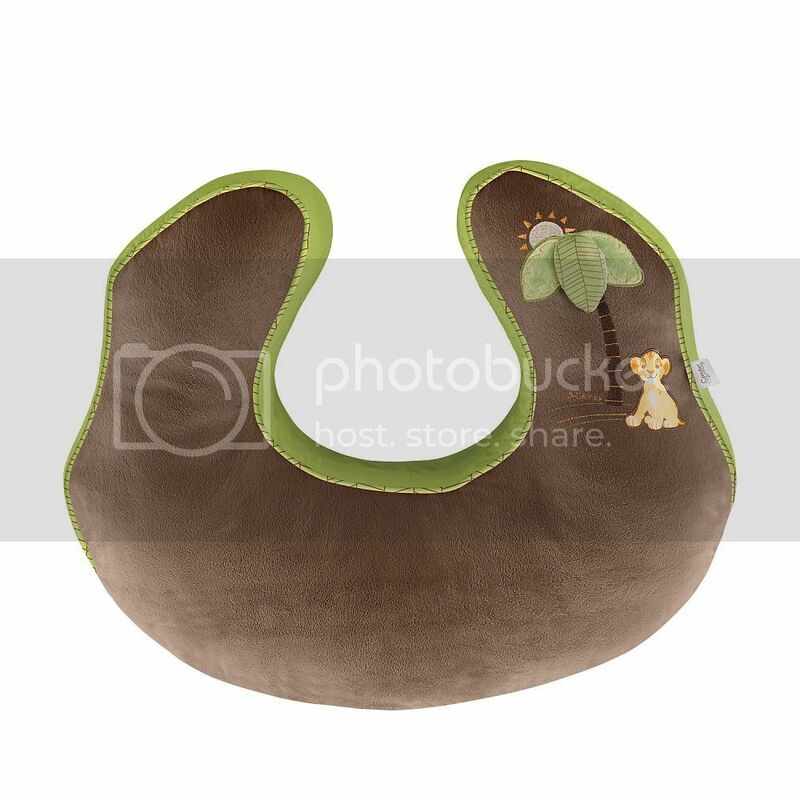 I also used the pillow to prop up my babies while they rested on the ground, or lay on the stomachs for tummy time. I bought my nursing pillow before my oldest was born, so over eight years ago. It is exciting for me to tell you about the Mombo Nursing Pillow by Comfort & Harmony, which has many more features than my plain nursing pillow did! Mombo has a unique shape and a two-sided design called Firm2Soft™, with each side offering a different experience. The firm side gives support for moms and their nursing babies. The soft side is cozy and is an inviting place for lounging or tummy time. And Mombo is the only nursing pillow with a vibration feature, to give baby the ultimate soothing experience while lounging. Since my babies napped on my nursing pillow, I would have loved to have the vibration feature! I also love the variety of styles and slipcovers – as you can see above, this one has a Lion King theme! The many Mombo products are available at Toys R Us as well as Babies R Us. Here are the Mombo Nursing Pillows at Babies R Us! You can find out more by liking Comfort & Harmony on Facebook and following Comfort & Harmony on Twitter! I would definitely consider buying this nursing pillow as a gift for new moms!